I THINK ALL objects should have a visual identity strong enough to tell their stories to an interested public. 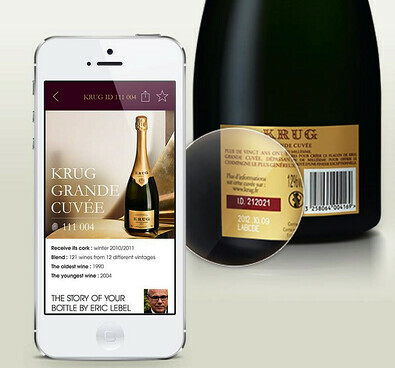 Krug's mobile app provides that functionality--but I'd prefer to be able to find the stories by merely scanning a product label through my Lumia's software. 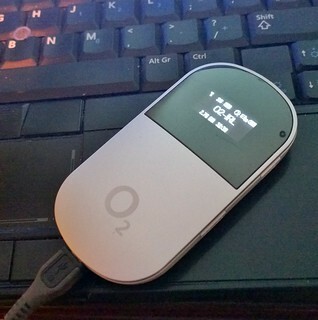 Photo of @topgold's O2 Hotshot snapped with Lumia. FOR MORE THAN three years in County Tipperary, I used an O2 Hotshot to enjoy solid 3G service. But since early May, my service consistently downshifts to 2G after 10 minutes of use. I need to figure out what has changed because when my connectivity rolls back to 2G, only my email works. I have become dependent upon multi-socket broadband while using a host of cloud services. Those critical services simply fail to work when the connection speed drops to 2G. THE EXPECTED MELTDOWN in the Irish Labour Party vote happened this weekend as Local Election 2014 tallies produced a strong showing by independents and a surprising resurgence by Fianna Fail. There's a six minute video clip below the fold with more details. WE HAVE A mobile test centre set up in the back seat of our car where we inflict stress on mobile phones greater than that experienced in blending experiments. Today we figured out a way to flatten a Lumia extended power grip. The yellow case around the test handset in the photo has on-board power that can extend the Lumia 1020's life by 20 hours. But when a 6yo plays a game that incorporates a physics engine followed by 30 minutes of zooming around the world with Here Maps, all power-saving considerations go out the window. When 6yo Mia returned the Lumia 1020 to me, she mentioned how it was "getting hot". The handset's warm housing did not cool down for 30 minutes. When I powered up the 1020 a few hours later, I saw it had less than 40% power. And the phone's snap-on power was down to one bar (out of four bars when fully charged). I don't intend to deep-discharge the Lumia 1020's battery during normal use but I'm sure our mobile field tester will have similar testing episodes during the months ahead. I SPEND SOME sunny afternoons cleaning up a mess buried under the ground where we live. This week the cleanup involves a space we reclaimed a few years ago. So during a half hour of digging, I unearthed a bin bag of domestic waste and a thick polyethylene liner that was probably wrapping a pallet of building materials. Neither of these items had dissolved since the time they were tamped underground in 2005. Our entire housing estate is littered with this kind of refuse. I wish there was a statute that prohibited the use of building sites as common dumps. Photo by @topgold with Lumia. I HOPE MY ability to publish media texts directly from my phone resumes because that would mean I have returned to daily blog and Audioboo updates. At the moment, it feels as though there are snakes in the pipes. Click photo to see Sunday newsround recorded with Lumia 1020. 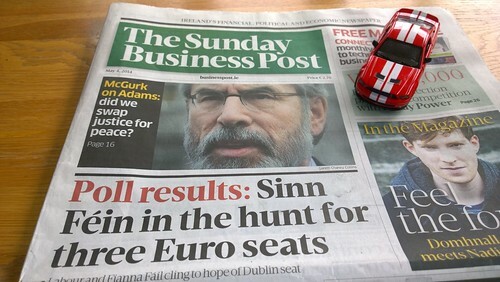 ON A RAINY MAY Bank Holiday weekend in Ireland, I skimmed through three Irish broadsheets to create a 10-minute newsround for ex-pats who don't have the opportunity to flick through the pages in dead tree form.